TruFrame, one of Liniar’s largest customers, was formed by David Firmager in 1994 and remains a family-run business to this day. The company occupies a 50,000 ft² manufacturing site in Melton Mowbray and services window installers and trade outlets all over the UK. TruFrame’s rapid growth has meant it has needed to form tight supply chain partnerships and develop industry leading processes to maintain its focus on product quality and customer service. Projects Director, Patrick Firmager, explains TruFrame’s philosophy and why it’s important for TruFrame to demonstrate Liniar Approved status. “We began the switch to Liniar in 2010, starting with foiled products, before moving fully across by early 2011. We’d been manufacturing another profile system for several years prior to that, but found we were increasingly competing against the group’s own fabricator network, which didn’t make sense commercially. “We chose Liniar because the system was relatively new, it looked great, and had some unique features, such as the patented bubble gasket. Also, Window Energy Ratings were becoming more and more important at the time and, with Liniar’s EnergyPlus system, our customers didn’t need to use low-iron glass to achieve an A rating. 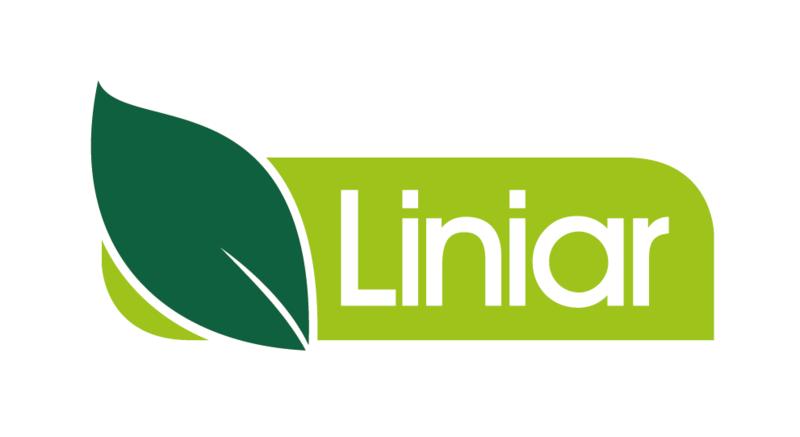 “The culture at Liniar also felt very much like our own – entrepreneurial with a flat management structure. Even now, we find its always easy to get in touch with the right person and have a proper conversation. “Once we started fabricating Liniar, we found it was much easier to manufacture with than our previous system. Also, with the product being a more industry-standard shade of white, the switch opened up a much larger market to us. In the end, it was an easy decision for us to shift all our production to Liniar as soon as possible – and we haven’t looked back since. “We believe Liniar is still a market-leading product. Even now, I glance over a Liniar wall chart and think it’s exactly how a profile system should be… everything is made with a purpose and fits together without compromise. “More than anything, we appreciate Liniar’s commitment to R&D and new product development; there’s always something new in the pipeline. The flush sash system helped to open up new markets for us, and Alumina is a great concept – a foiled aluminium bi-fold system that matches uPVC windows – we’ll be looking to fabricate Alumina later this year. Why is ‘Liniar Approved’ important? “We see ourselves very much as a manufacturing company, not a sales organisation. We’re incredibly proud of the products we make, and when we put our name to something it has to be right. Very much like Liniar itself, we’ve never set out to be the cheapest – we simply strive to be the best. “Liniar Approved is therefore crucially important to TruFrame. It signifies we’re fabricating our products exactly as intended; using all the correct components and following all the necessary procedures. In a marketplace that can be tough to compete in, Liniar Approved shows that TruFrame is not a company willing to give up its integrity. “We all know that corners can be cut when fabricators are trying to save money – so the Liniar Approved scheme makes everything fair; it shows we’re competing on a level playing field, whilst offering customers the reassurance that all our products are manufactured exactly as Liniar has designed, tested and guaranteed. “We are well aware that price is critically important – but we also know our customers highly value the fact they can rely on the products they buy from TruFrame as being fully tested and guaranteed too.